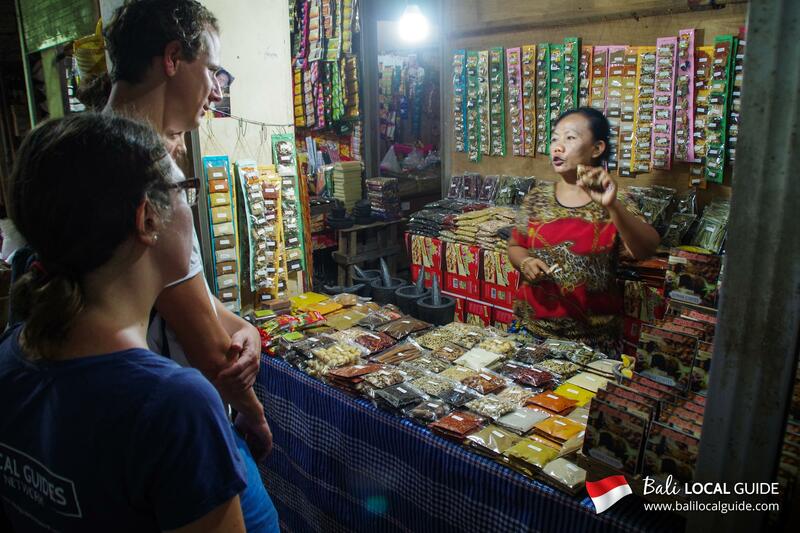 Centre of Bali: Visit a market or a family vegetable garden - Learn to cook traditional Balinese dishes - Taste homemade dishes. 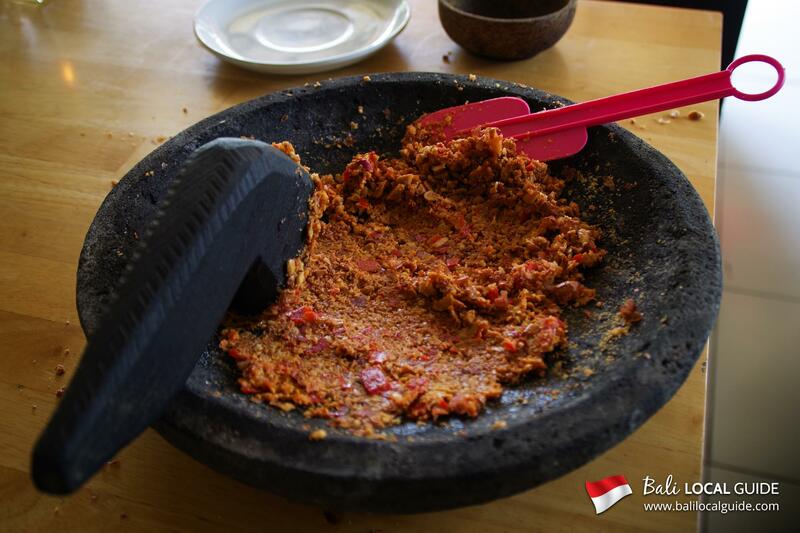 Discover ingredients commonly used in Bali. Learn how to cook the most well-known local specialities. Share unique moments with the locals and other participants. Taste the outcome of your labour with a copious meal. Limited to 10 participants to ensure the best experience. Allergic? Vegetarian? The menu can and will be adapted. 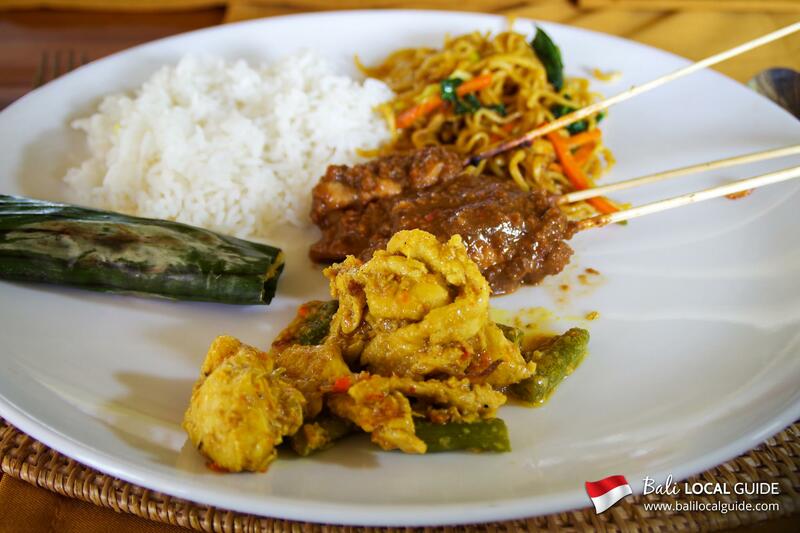 Skewers with satay sauce, stir-fried noodles, fish cooked in a banana leaf… You’ll be able to taste those famous dishes throughout your stay in Bali. 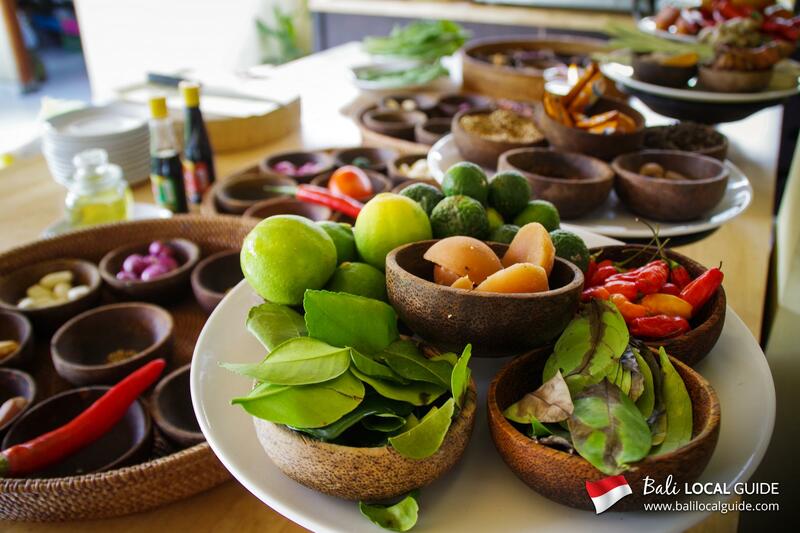 Learn how to cook 9 of the most well-known Indonesian and Balinese specialities with expert advice from a passionate team. A driver will pick you up at your accommodation (at Ubud or in Southern Bali) and will drop you back off at the end of the activity. 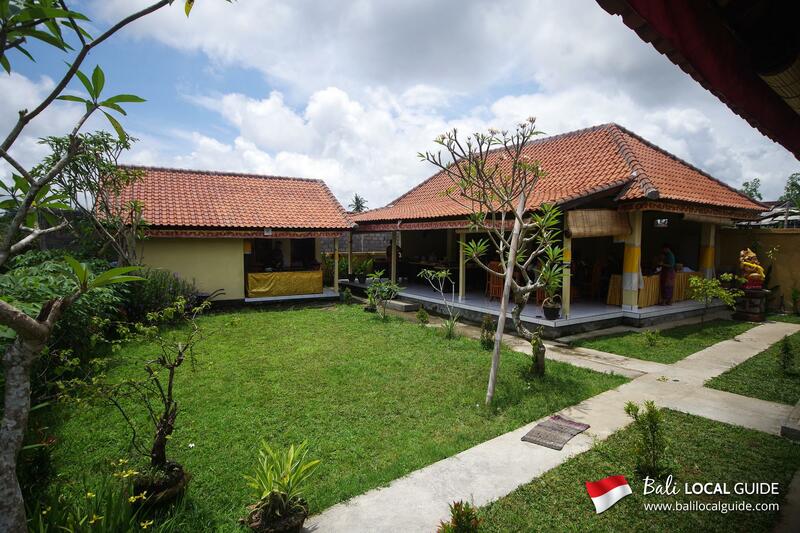 The class will take place on the family’s land, in a lush setting surrounded by paddy fields and minutes away from Ubud. 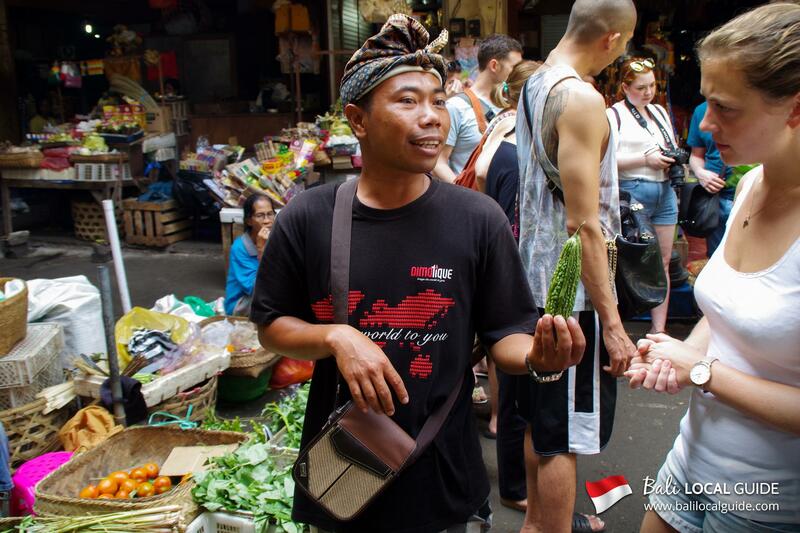 The morning session begins with a visit to the stunning local market of Ubud whilst the afternoon session commences with the discovery of the family vegetable garden from where the majority of the ingredients used are sourced. In both cases, your guide will provide you with a great deal of information about the locally used plants and ingredients. You will then get behind the stove, in a lovely open-plan kitchen, and you will prepare 9 of the most famous Balinese and Indonesian dishes. Ketut and his team will guide you through the process step by step and will be available throughout the class to advise you in English. Then comes the moment you have all be waiting for: tasting the dishes! Expect generous portions and a convivial atmosphere together with the other participants, in a clean and well-maintained environment. You will be back at your accommodation in Ubud around 2 p.m. for morning session or around 8 p.m. for afternoon session. If you are returning to a town in Southern Bali, the drop off time will vary. The class can be modified to suit your diet. Don’t forget to specify it during the process of booking. A unique character, who is extremely kind and has an incredible way with people, Ketut is an authentic Balinese chef with whom you are guaranteed to have a wonderful time. 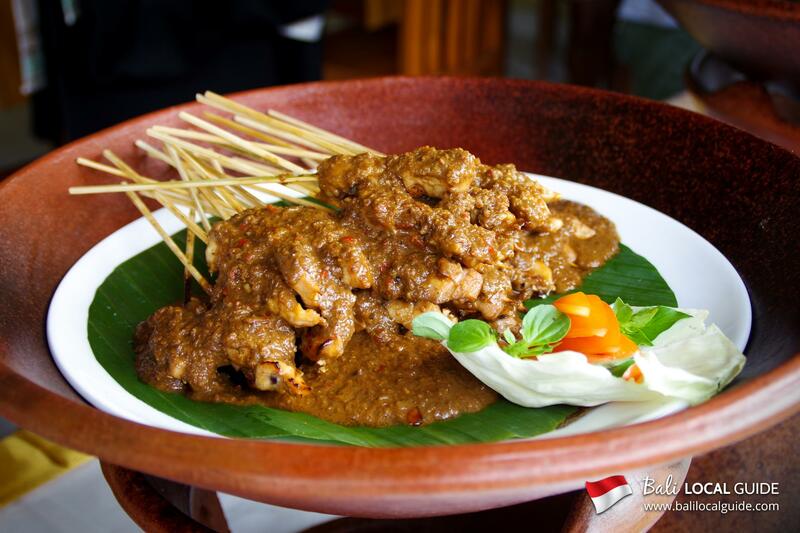 Originally from Klungkung (Eastern Bali), he studied Western cuisine before working for 24 years in hotels. He owes his perfect knowledge of the local cuisine to the expertise of his parents who ran a Warung. 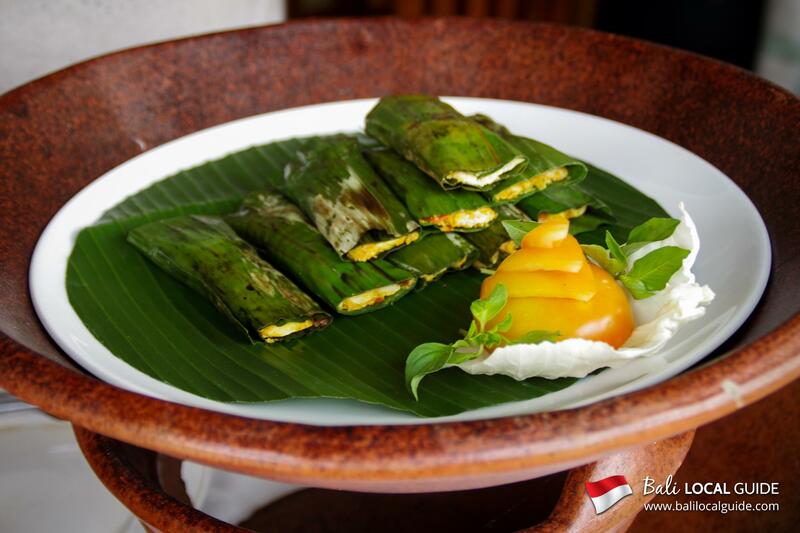 For over 6 years, Ketut and his team have put all of their passion into enabling travellers to discover the subtleties of the local cuisine in the best conditions. First insight into the ingredients of the local cuisine. 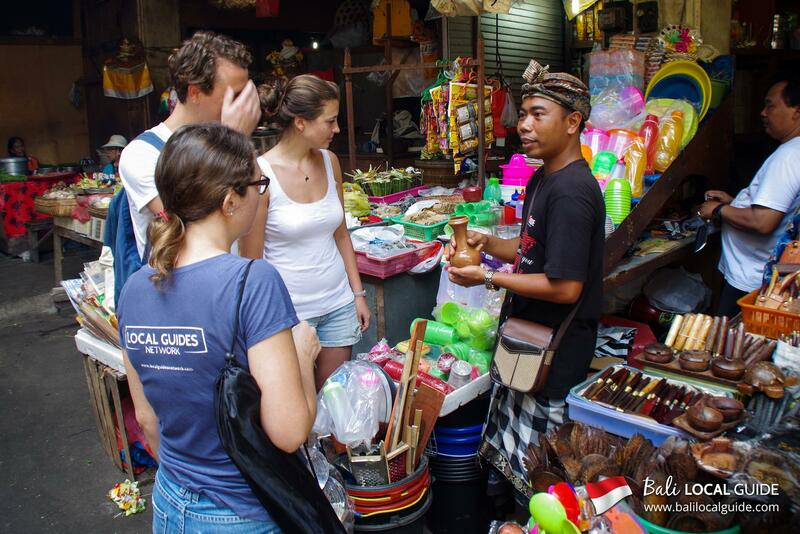 Visiting Ubud’s local market (morning session) provides a great opportunity to observe the local’s habits and way of life. Accompanied by your local guide, you will blend in with the locals who come to stock up on fresh produce every day. During the afternoon session, you will instead discover your host’s incredible family vegetable garden. 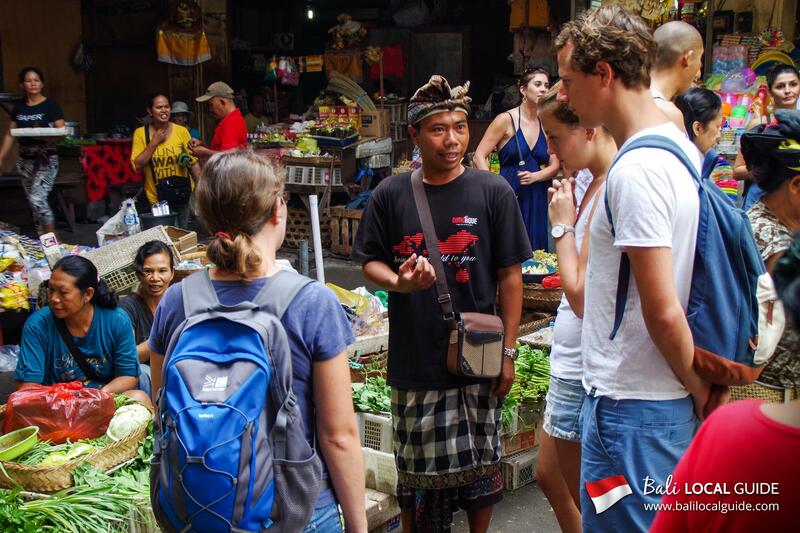 You will very quickly be stunned by the Balinese’s formidable know-how on the subject. 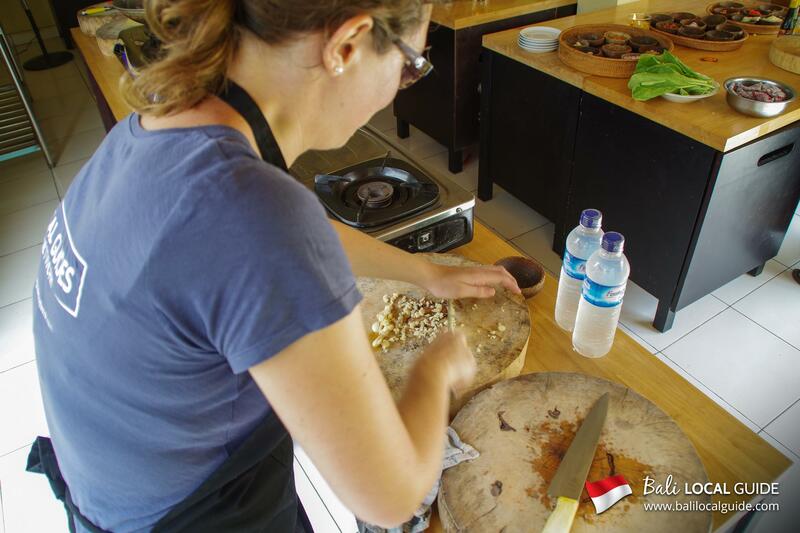 In both cases, you will discover commonly used tropical fruits, local roots and spices. 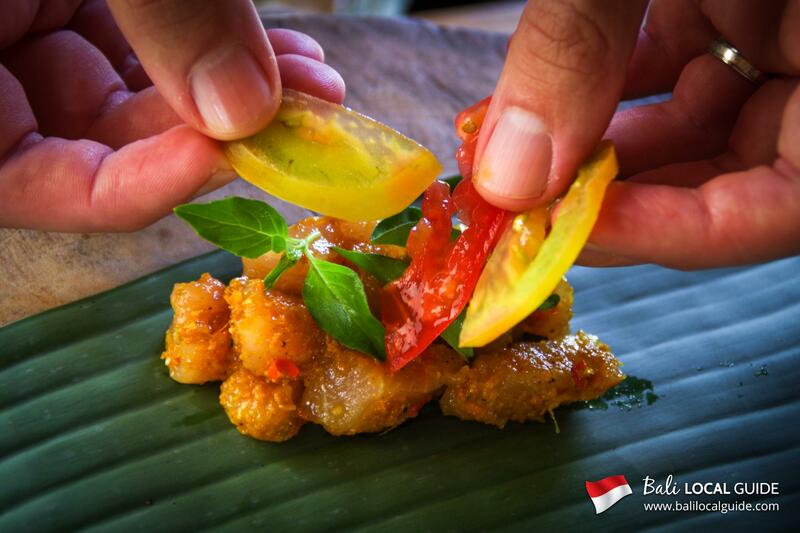 Perfect to learn more about what you will be tasting throughout your stay in Bali! With guidance from an attentive team! Under the watchful eye of an expert team, you’ll learn how to make 9 of the most popular Balinese dishes, these include: the delicious and unmissable “Satay” and “Sambal" sauces, steamed fish wrapped in banana leaf, a delicately fragrant chicken soup, stir-fried noodles (Mie Goreng), barbecue-grilled chicken skewers and a banana or sweet potato fritter for dessert. You will get hands on and cook in pairs, with the utensils provided, using locally sourced produce or fresh products from the garden. You are guaranteed a good atmosphere and generous portions! Then comes the moment you have all be waiting for: tasting your mouth-watering dishes. Even the drinks are included! A lovely table will be laid out for the occasion, and you will also be able to quietly revitalise as the kitchen opens out over the surrounding countryside or chat with the other participants in a friendly atmosphere.